"Meet the Experts" is a TMM tradition. Trainees and HQP interested in connecting with experts and leaders the field of stem cells and regenerative medicine are invited to take part in this valuable networking event. The Meet the Experts Lunch will take place on Monday November 12, from 11:20 AM to 1:20 PM. This period will be split into three sessions of 25 minutes each so each participant can meet with three Experts. To register for this event, please fill out the online form HERE and select the top five Experts you would like to meet. The Stem Cell Network's Trainee Communications Committee (TCC) will assign seating for each of the three sessions to ensure an even distribution of participants between the Experts' tables. We all have our favourite experts whose work we read about in journals. If you’re looking for face-to-face time with some of the top movers and shakers in stem cells and regenerative medicine, join the SCN TCC Meet the Experts Lunch at TMM2018. Over a relaxed lunch, you can chat with distinguished leaders in their fields and discover how they excelled in their research and what it takes to be a prominent name in academia, or to venture into the commercial or translational side of research. A global business executive, Leanna Caron has extensive experience in the pharmaceutical, biotech, and medical devices industries. She is a respected sales, marketing, business development, and overall general management leader with demonstrated effectiveness in corporate governance. 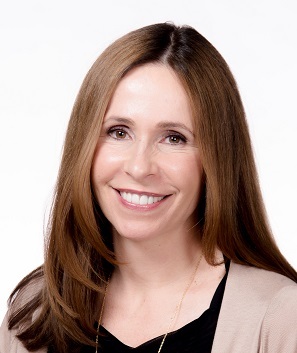 Ms. Caron currently serves as Vice Chair of the Board of Directors of Kuros Biosciences, a Swiss orthobiologics company and is an advisor to the Board of Directors of CartiHeal, an Israeli medical device company focused on cartilage regeneration and osteoarthritis. She is also President and Chair of the Board of Directors for Skate Canada, the largest and longest standing figure skating organization in the world. In the later, Ms. Caron combines her in-depth international business and marketing expertise with her broad knowledge of figure skating, which includes being an Olympic-level official. Previous positions include executive vice president and chief commercial officer at AgNovos Healthcare, overseeing all aspects of global commercial development, commercialization, and corporate communications; Vice President and General Manager at Sanofi, overseeing the global commercial operations for Cell Therapy & Regenerative Medicine. Ms. Caron has also held senior positions at Genzyme and Merck in the United States, Canada, and Europe, and has led several international teams to successfully launch niche/orphan and blockbuster products globally. She received her pharmacy degree from the University of Toronto, Canada, and her MBA from Concordia University, Montreal, Canada, and Cornell University, Ithaca/NY, USA. Joel Drewry is an investment professional at leading biotechnology venture capital firm Versant Ventures. In 2014 Joel became one of the founding members of Blueline Bioscience, Versant’s discovery engine based in the Toronto Discovery District. Since then, he has played important roles in the creation and launch of Canadian companies including Northern Biologics and Repare Therapeutics. Joel has helped to establish the firm’s presence with leading academics in Toronto and more broadly across Canada. In addition to his role at Versant, Joel serves as Director of Business Development at Blueline. Nikta Fay is a scientist by day, social justice advocate by night and a science educator and community builder in between. She is currently working as an Account Manager with STEMCELL Technologies supporting stem cell researchers across Eastern Canada. Prior to this, she completed her PhD in Cell Biology and Virology at UBC in 2014, moved to Toronto and “dated” a few jobs before finding the one that fit just right. Nikta is passionate about creating inclusive spaces and has more than 10 years of experience developing pro-inclusivity workshops and university level curriculum for university Faculty and other members of the community. In 2012, she was awarded the prestigious UBC Killam graduate Teaching Assistant Award for her work supporting the teaching community at UBC. Teaching and Learning continue to be a large part of Nikta’s interests. By being a part of STEMCELL Technologies, Nikta hopes to use her scientific, facilitation and teaching skills to bring value to research projects and move science forward in Canada. Dr. Emily Griffiths is a Subject Matter/Technical Specialist in the Office of Policy and International Collaboration. She contributes to the development of policy in the area of biosimilars. Since joining Health Canada in 2016, Dr. Griffiths has provided advice and developed policy and guidance documents to support the regulatory review of biosimilars as well as regulatory requirements for clinical trials. She currently participates in a number of Health Canada working groups related to biosimilars. She also contributes to international efforts to foster regulatory alignment through the International Pharmaceutical Regulators Program (IPRP) – Biosimilars Working Group. 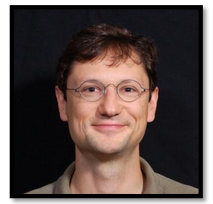 Dr. Griffiths has a PhD in Medical Biophysics and an Honours BSc in Immunology, both from the University of Toronto. 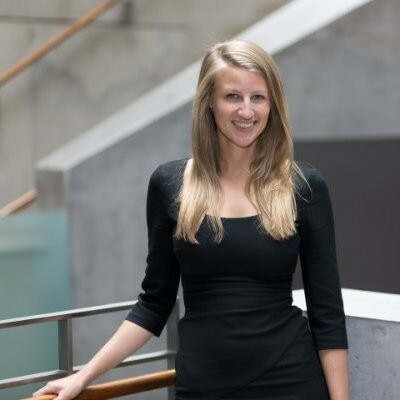 Angela McDonald is a senior Engagement Manager in McKinsey & Company’s Toronto office, serving Pharmaceutical and Biotech clients on corporate and business unit strategy, as well as R&D, product development and commercialization in a range of therapeutic areas. 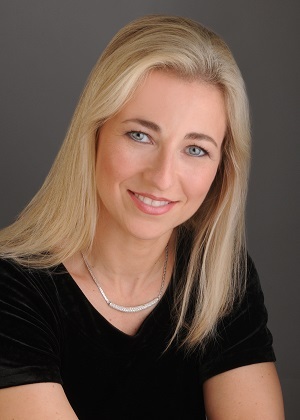 Angela has served clients globally, having spent significant time working in Europe and Japan. During her tenure at McKinsey, Angela has spent a large portion of her time serving CEOs and top-level executive teams at a variety of companies, from startups to Fortune 500 companies. 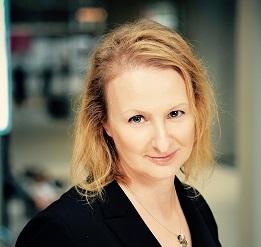 Angela is one of McKinsey’s global knowledge leaders in advanced therapeutics, with specific content knowledge in regenerative medicine, and bioengineering. When she’s not serving Biopharma innovators, Angela works with investors in McKinsey’s global Private Equity and Principle Investors Practice, serving clients across the deal cycle on a variety of healthcare asset transactions. 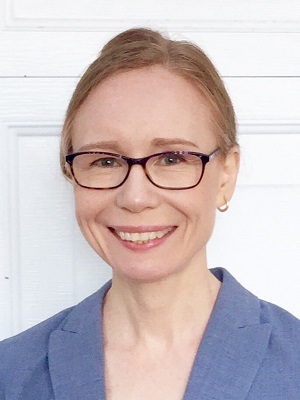 Prior to joining McKinsey & Company, Angela has earned a PhD in Bioengineering at the Institute of Biomaterials and Biomedical Engineering at the University of Toronto in 2014, and an H.B.Sc. in Kinesiology and Health Sciences from York University in 2007. Her scientific research is published in high-impact journals including Developmental Cell and Cell Reports. 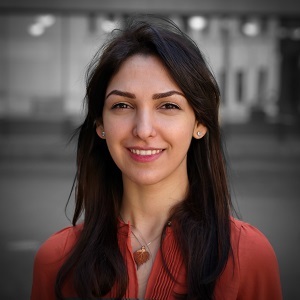 Dr. Sheri Shojaie, trained as a stem cell scientist, currently works in the health technology sector, specializing in the use of patient data-driven analytics. As a former research scientist, she completed her doctoral work at the Hospital for Sick Children, University of Toronto, in developmental physiology and regenerative medicine. 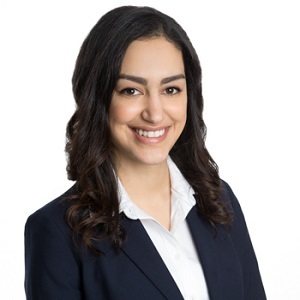 Shifting her focus from research to industry following her PhD, she joined healthcare consulting firm IQVIA (formerly IMS Health) as a consultant on the Commercial Effectiveness team, working closely with various commercial teams in the pharmaceutical industry across Canada and the US. Following her time in healthcare consulting, she joined health technology company Komodo Health, based out of San Francisco. In her current role as Senior Manager of the Advanced Analytics team, Sheri works closely with data scientists to leverage Komodo Health’s patient-level data and health care map, with the ultimate goal of understanding and reducing the overall burden of disease with data-driven insights and predictive modeling. Dr. Wernig is an Associate Professor of Pathology at the Institute for Stem Cell Biology and Regenerative Medicine at Stanford University. He graduated with an M.D. Ph.D. from the Technical University of Munich where he trained in developmental genetics in the lab of Rudi Balling. After completing his residency in Neuropathology and General Pathology at the University of Bonn, he then became a postdoctoral fellow in the lab of Dr. Rudolf Jaenisch at the Whitehead Institute for Biomedical Research/ MIT in Cambridge, MA. In 2008, Dr. Wernig joined the faculty of the Institute for Stem Cell Biology and Regenerative Medicine at Stanford University where he has been ever since. He received an NIH Pathway to Independence Award and has since received many other awards, including the Cozzarelli Prize for outstanding scientific excellence from the National Academy of Sciences U.S.A. the Outstanding Investigator Award from the International Society for Stem Cell Research, the New York Stem Cell Foundation Robertson Stem Cell Prize, and more recently has been named a HHMI Faculty Scholar. 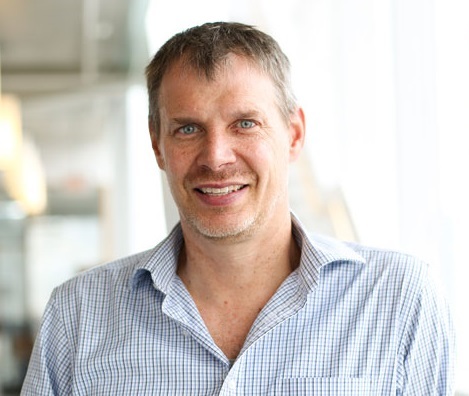 Dr. Peter Zandstra graduated with a Bachelor of Engineering degree from McGill University in the Department of Chemical Engineering, and obtained his Ph.D. degree from the University of British Columbia (UBC) in the Department of Chemical Engineering and Biotechnology, under the supervision of Jamie Piret and Connie Eaves. He continued his research training as a Post-Doctoral Fellow in the field of Bioengineering at the Massachusetts Institute of Technology (with Doug Lauffenburger). In 1999, Dr. Zandstra began his faculty appointment at the University of Toronto’s (UofT’s) Institute of Biomaterials and Biomedical Engineering, with cross appointments in the Donnelly Centre for Cellular and Biomolecular Research and Chemical Engineering. During his time at the UofT, he has held the Canada Research Chair (Tier 1) in Stem Cell Bioengineering and he was appointed University Professor (2016), the university’s highest academic rank. In July 2017, Zandstra joined the University of British Columbia as the Founding Director the School of Biomedical Engineering and as the Director of the Michael Smith Laboratories. In these roles, he aims to build programs with deeper interactions between the Faculties of Applies Science, Science and Medicine, especially as related to innovative research and training programs. Zandstra’s research integrates engineering and biological approaches and in the last several years, work in his lab has focused on using computer modelling and strict control of the microenvironment (niche engineering) to develop a deeper understanding of the regulatory networks that determine stem cell fate. Applications of his work include new therapies for blood disease and a deeper understanding of human development. He served as the Executive Director of Medicine by Design (2015-2017), and has co-founded three biotech companies. He is the Chief Scientific Officer at the Centre for Commercialization of Regenerative Medicine (CCRM), a Toronto-based regenerative medicine translation centre. In addition, Zandstra serves as the Scientific Founder and Chief Technology Officer for ExCellThera. This Canadian clinical stage cell therapy company focuses on development, manufacturing and distribution of expanded and genetically engineered hematopoietic stem cells for therapeutics treating blood diseases. He is the recipient of a number of awards and fellowships including: the Premier’s Research Excellence Award (2002), the E.W.R. Steacie Memorial Fellowship (2006), the John Simon Guggenheim Memorial Foundation Fellowship (2007), the McLean Award (2009), and the Till and McCulloch Award (2013). 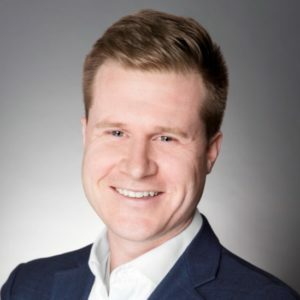 In 2015 Zandstra was elected as a fellow of the Royal Society of Canada and most recently was also the recipient of the 2017 Scale-Up and Manufacturing of Cell-Based Therapies Award from Engineering Conferences International.